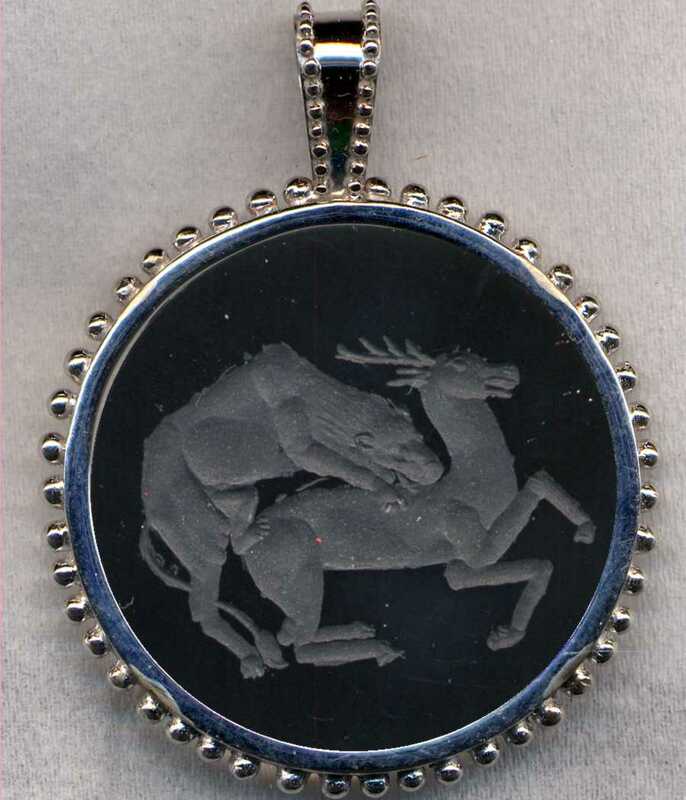 The original engraving was described in a museum catalog as: A lion attacking a stag. Related to Dexamesos' work, second half of v century B. C. Rock Crystal scaraboid, 20mm. British Museum, London.